Showcasing Tatjana Panek’s Habitual Intoxication of Infinite Infatuation and Bianca Trombi’s Disclosure, Skin Deep focuses on the abstractions of the human form each work depicting organic analogic portrayals of the body - the delicate curvatures of male and female merging together in a stealthy horizon line across the gallery in Panek’s work leading ultimately to Trombi’s soft female mountainous range. Having discovered home not in bricks and mortar but rather in flesh and blood, Panek is subjectively portraying the physical formation of two recently unified (emotional and physical) halves to attempt to comprehend and challenge individual centric modern traditions. Our surroundings and our own bodies often seem divided into binaries: right/wrong, light/dark, body/soul, I/other. Rather than rejecting these simplistic contradictions, should they not co-exist? 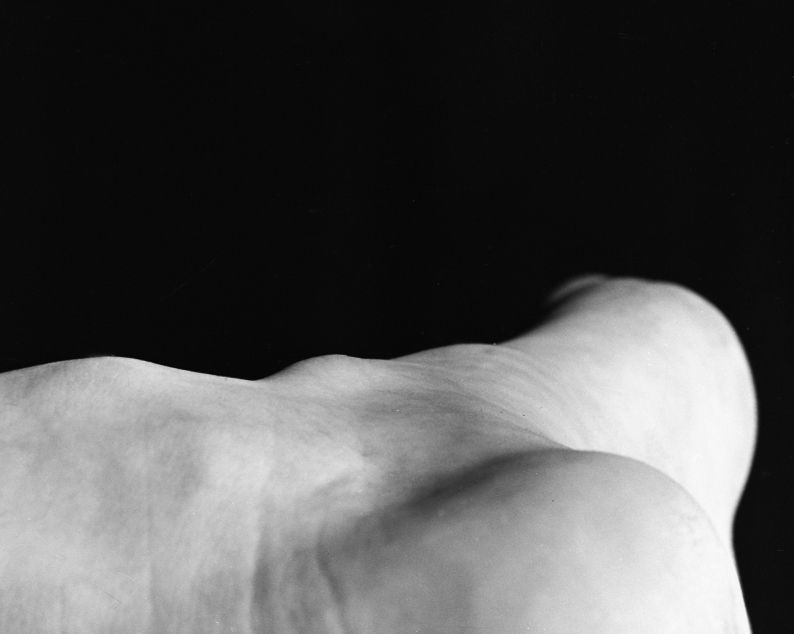 Looking at the body as a collection of shapes, Trombi attempts to blur our understanding of the body as a whole ruled by a pre-conceptual approach. By removing the idea of totality she directs attention to the inner materiality of the shapes that we are enclosed by, relating them to natural landscapes. Deconstructing the body’s identity aims to disclose new ways of looking at it, revealing shapes and surfaces rather than known objects. Trombi and Panek’s forms mirror each other high key and low key, black and white analogic forms distorted and fractionated: at first sight they share only a delicate touch of their underlying narratives – below the skin exist deeper infatuations of touch and being.